(Nanowerk News) Surgeons removing a malignant brain tumor don't want to leave cancerous material behind. But they're also trying to protect healthy brain matter and minimize neurological harm. 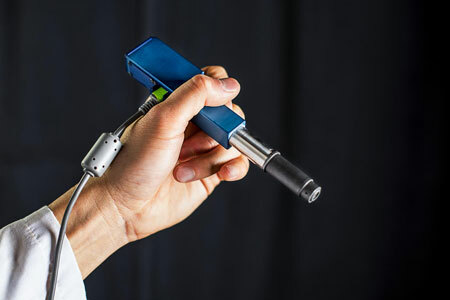 The new technology, developed in collaboration with Memorial Sloan Kettering Cancer Center, Stanford University and the Barrow Neurological Institute, is outlined in a paper published in January in the journal Biomedical Optics Express ("Miniature in vivo MEMS-based line-scanned dual-axis confocal microscope for point-of-care pathology").